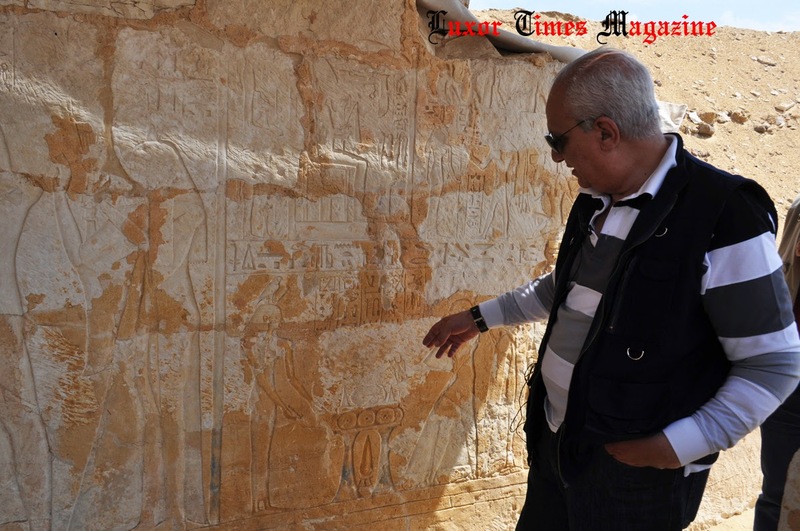 Not far from Unas pyramid in Sakkara, Dr. Mohamed Ibrahim announced today the discovery of a 20th Dynasty tomb. 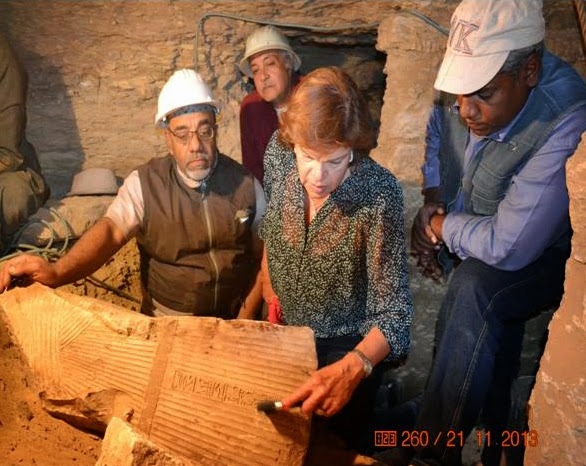 The tomb owner was called “Paser” and he was “The overseer of the Egyptian army records” and “The King's messenger to the foreign rulers” i.e: Minister of Foreign Affairs. 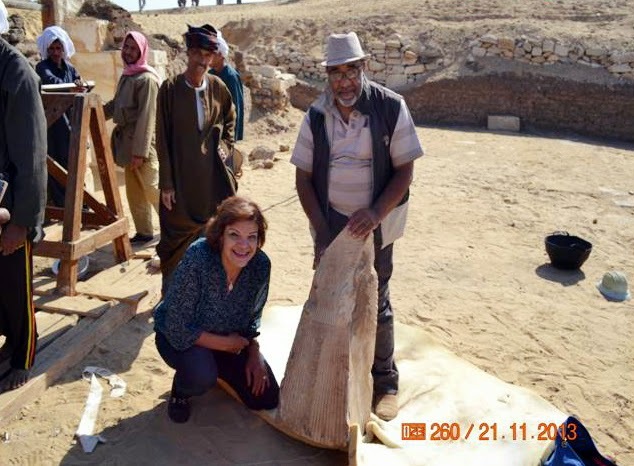 The discovery conducted by the Faculty of Archaeology of Cairo University mission on the southern side of the ramp of Unas pyramid in Sakkara. 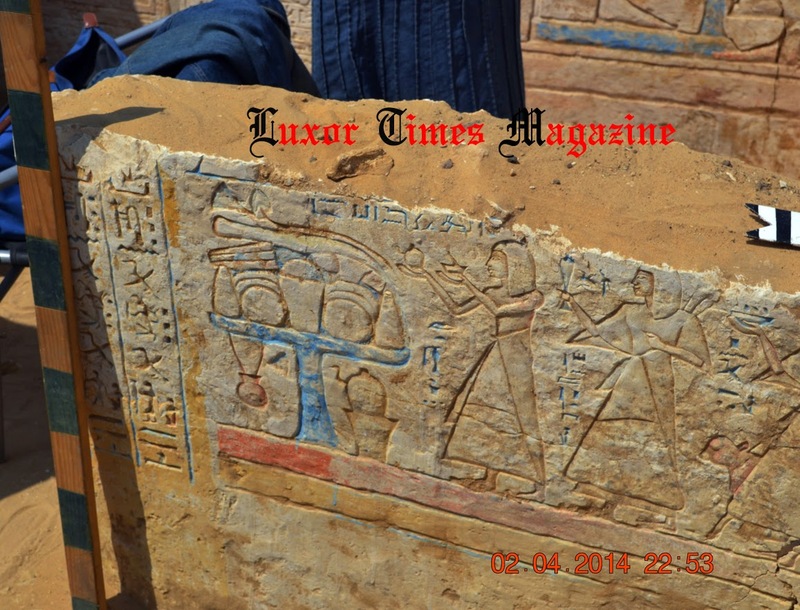 The tomb is dated to the 20th Dynasty at the end of the Ramesside period. 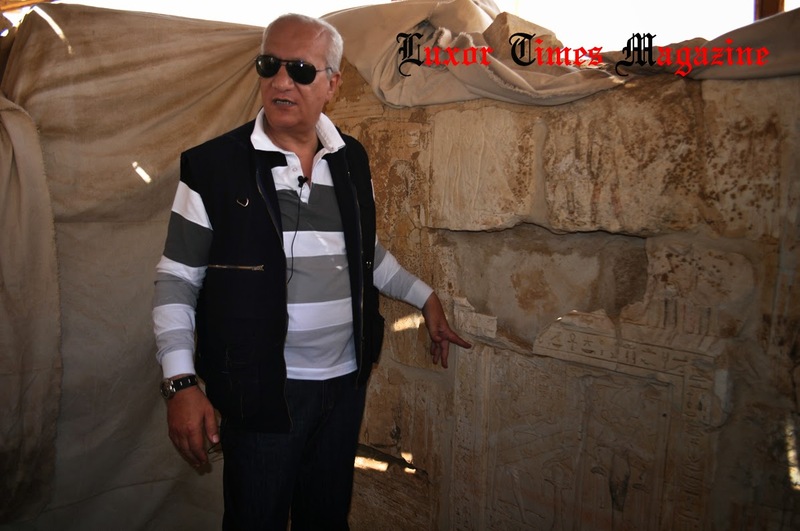 The tomb is next to the northern wall of the entrance of the army commander “Ptah-Mes” tomb which was discovered in 2010 and dated back to the same era of Baser’s tomb which could mean that the newly discovered tomb belong to one of Ptah-Mes family members. 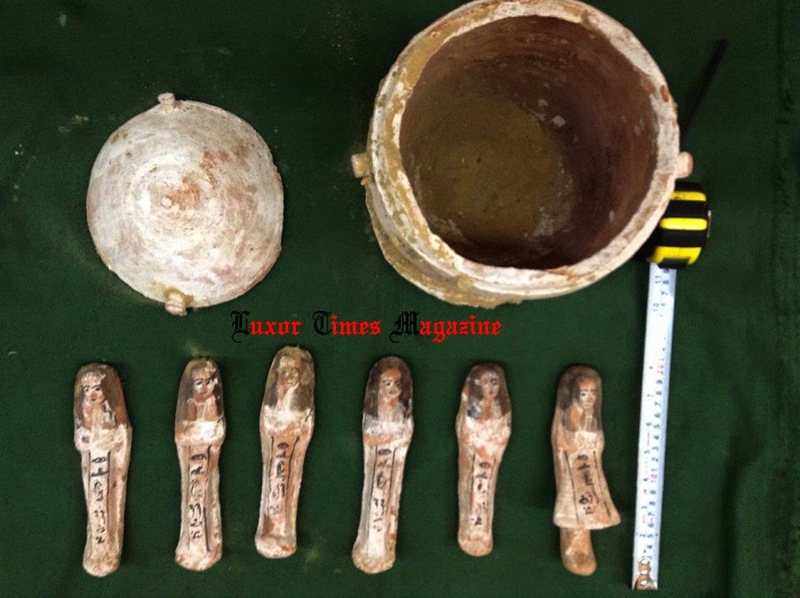 This discovery proves the important of this area as building tombs for high officials there even after moving their capital to other locations. 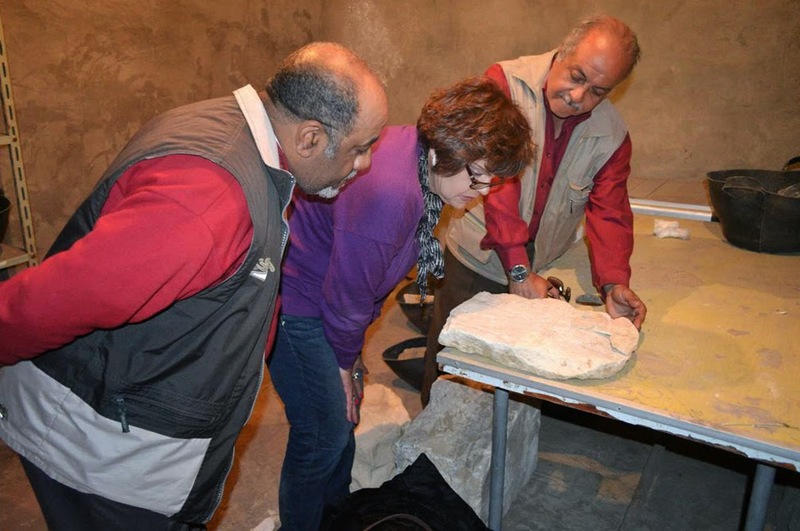 Dr. Ola El Aguizy, Former dean of the faculty of archaeology and head of the mission, the tomb axis is from east to west and it measure 12 meters in length and 6 meters width. The tomb contains clear architectural elements of limestone represented in open court with pillars followed by pillar hall in the middle of it the shaft leads to the burial chamber then three decorated chambers ends with mud brick pyramidion. Dr. Ola also explained that what's left of the tomb decorations are in good condition and it shows how keen the tomb owner was to depict the important scenes of the afterlife including the Osirion trial and him worshipping Osiris and Ptah as well as scenes of men and women of his family who held administrative and priesthood titles.